Local TV supporters, the wait is over! There will finally be a new Malaysian English sitcom! Recently, on the 9th of August, Malaysia SME™ proudly announced that their 13-episode million dollar production sitcom entitled Small Mission Enterprise (S.M.E) is set to be aired on NTV7 starting from the 4th of October this year. Before we continue, please do not be confused with Malaysia SME™ and the title of the sitcom like how I was. 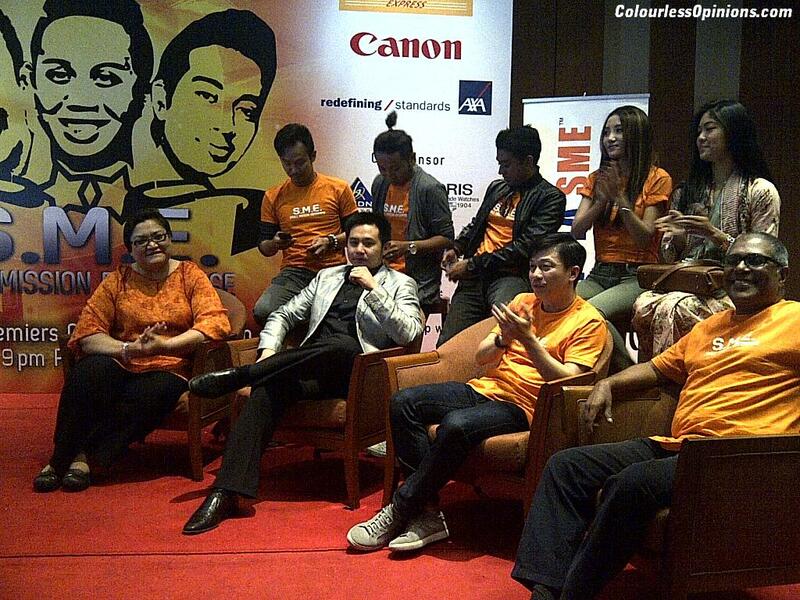 Malaysia SME™ is a media group and the producer of the sitcom. At the media preview event, Malaysia SME™ also had the founder of Nelson’s Franchise, Y. Bhg. Dato Nelson Kwok, and the CEO of Big Rajah Food Caterers, John William Xavier, as well to shared their inspirational experience and accounts on the challenges they had gone through in their respective business. in starting a small medium business. their own business. 99.2% businesses in Malaysia are small medium enterprises and that just shows how much it could relate to the target audience. The series will also showcase the products and services of the collaborating parties – Canon Malaysia, AXA Affin General Insurance and DHL Express Malaysia. The film of sitcom itself was shot with Canon video cameras. I agree that having a TV show about local SMEs is important for us Malaysians but it’s too early to tell whether the sitcom would be as entertaining and educational as they promised. One thing for sure, I am intrigued to catch it and I’m hoping that it’ll be at least comedically as good as how Kopitiam and Phua Chu Kang were back then. Since I can’t review the series ’cause it will not be showing until October the 4th, I shall review the music video first instead. The title of the song is called “There For Me” which totally reminds me of Friends‘ theme song I’ll Be There For You. Well actually, the genre, melody, the feel of the song and the music video itself are quite similar as well. Hopefully the sitcom won’t turn out as unoriginal as the song and MV. I am looking forward to the show screening:D Been some time since we had an English local sitcom.